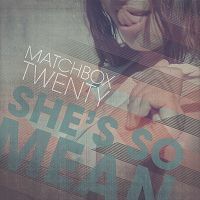 The song Matchbox Twenty - She's So Mean is professional recreation. It is not by the original artist. 3 A.M. Matchbox Twenty Your browser does not support the audio tag. Bright Lights Matchbox Twenty Your browser does not support the audio tag. If You're Gone Matchbox Twenty Your browser does not support the audio tag. She's So Mean Matchbox Twenty Your browser does not support the audio tag. Unwell Matchbox Twenty Your browser does not support the audio tag.